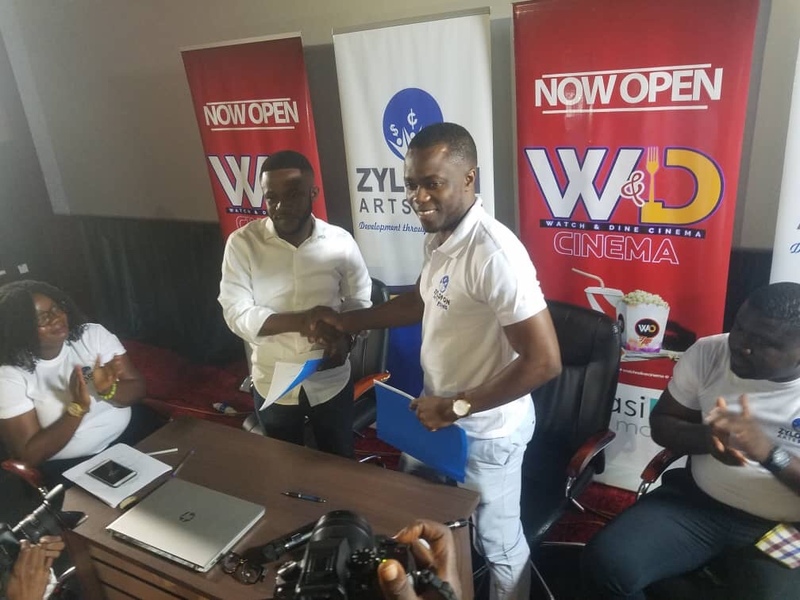 The only private philanthropic investment fund for arts development in Ghana, Zylofon Arts Fund has launched a new project on August 3, 2018 in Kumasi as part of the objectives of the initiative to revamp and develop Ghana’s local film and creative arts industry. Speaking to Kelly Mensah of GHOneTV.com, Mr Frank Owusu, Communication Director for ZAF opined that the new watch & dine is aimed at supporting the film industry to generate maximum income to boost the film industry. The Zylofon Arts fund was launched some two weeks ago and has since received a number of entries which are currently under review by the 5-member administrative board. Proposals should be sent directly to the zylofon media headquarters in East Legon, lagos Avenue opposite mensvic hotel. Meanwhile here’s all you need to provide in order to access the $1million fund successfully. The Zylofon Arts Fund is a scheme structured to support the various creative arts arms of the Nation both locally and internationally, to boost the prominence of the Arts and Tourisms in Ghana. ZAF is a credit relief fund with a non-interest. The fund will cover a wide spectrum of which include Film (Documentary, Movie Producers, Set Designers), Music ( Drummers, Sound Engineers, Song Writers/Composers, Instrumentalists, Performers), Theatre Arts (Stage Managers), Dance, Visual Arts, Tourism Writers and Bloggers, Architects, Artisans (Hairdressers, Painters, Craftsmen, Sculptors, Weavers, Make-up Artists), Fashion Designers and Dressmakers, Jewelry, Publishers Eligibility Criteria Open all well – meaning Ghanaians in the Arts Industry.